Internet marketing should go beyond the search engines. Learn how to use public relations and publicity to get more traffic and sales for your website. Business cards are like mini-billboards. They should tell the what, why, how, when and where of your business. If you are a serious Internet marketer, business cards can be your most effective offline marketing tool. Don’t be caught without yours. One of the most important things an online entrepreneur needs to do is to seek out various sources of traffic for their website. It is hard to rely on one major source of traffic alone. Learn the ways you can diversify your traffic sources. 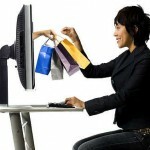 We have used a variety of methods on internet marketing to attract and retain visitors to our site. Some worked; some didn’t. Here are 5 basic rules of internet marketing. Podcasting has been called the wave of the future. The truth, however, is that podcasting is the here-and-now and is rapidly gaining momentum across the world. 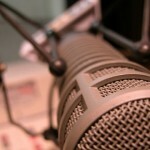 Learn how to use podcasting for your home business. I have started my website, but I have very little budget. Can you please suggest some free ways that I can promote my online business? How can I promote a web site for free?